One thing I really love about DBT (Dialectical Behavior Therapy) is how often I get to use Star Wars to explain it. I still wonder if Linehan developed the treatment after watching Star Wars. My favorite Star Wars movie….scratch that….my favorite movie is The Empire Strikes Back. Yoda’s admonishment of Luke for leaving his training to rescue his friends is chock full of DBT goodness. One quote from Yoda serves as a great starting point for a discussion of Mindfulness and Wise Mind. Ready are you? What know you of ready? For eight hundred years have I trained Jedi. My own counsel will I keep on who is to be trained. A Jedi must have the deepest commitment, the most serious mind. This one, a long time have I watched. All his life has he looked away, to the future, to the horizon. Never his mind on where he was. Hmm? On what he was doing. Yoda knew the importance of remaining mindful, present. When our mind goes to the future, especially during times of distress – our thinking goes to the catastrophic. This takes us out of Wise Mind and causes us to react to a reality we cannot control or does not exist. Luke, in his concern for his friends, made the decision to abandon training to rescue them despite not being in any position to confront Vader. Luke was operating from Emotion Mind – his actions were prompted purely by the distress associated with fear and anxiety for his friends. Most of us could sympathize with Luke, what kind of person abandons his friends? But was his action effective? Effectively is a “How” skill in mindfulness, it involves doing what works, not what is necessarily “right” or “fair” – it involves honoring how one feels and one’s reason while taking reality and context into account. Doing what works in a way that honors both while transcending both, Effectively is the evidence of acting from Wise Mind. In trying to rescue his friends, Luke ended up creating a bigger problem. He lost his hand and his friends ended up having to rescue him. In addition, Luke wasn’t able to prevent Han from ultimately becoming Jabba’s ice cube. Emotion mind prompted Luke to react to a reality that did not exist – one where his friends were not capable of protecting themselves as well as a reality he could not control – Frozen Han. 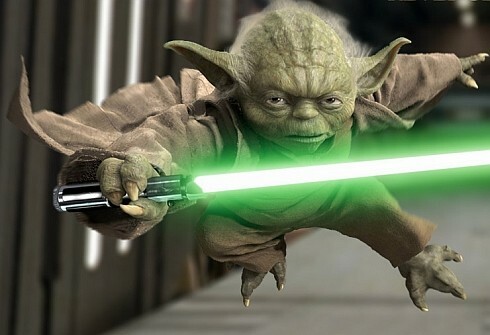 The lesson that Yoda was trying to impart on young Luke is one we can all benefit from. Many times the best course of action is to simply notice where we are and influence only what is in our power while taking small steps to change what we cannot influence immediately. Until next time, stay present and remain effective. Previous Bring On The Geek!